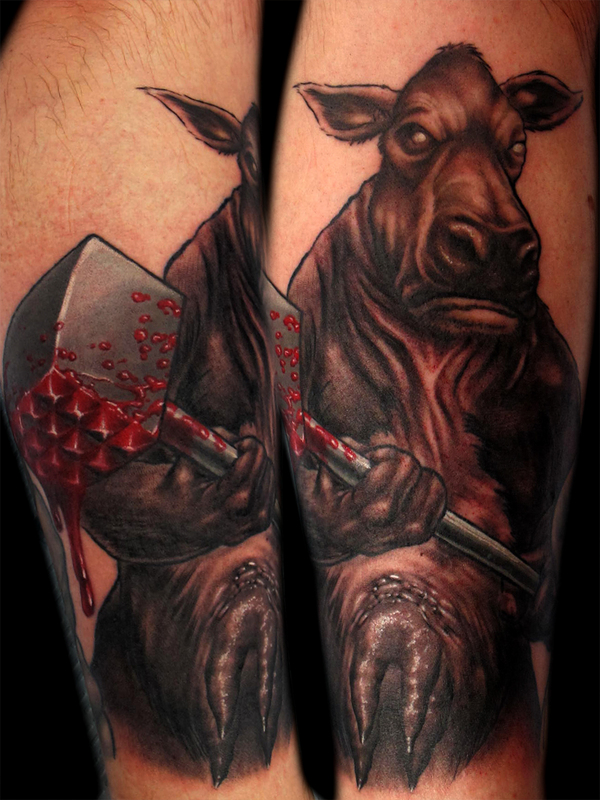 This entry was posted on May 19, 2012 at 7:28 pm and is filed under Tattoo with tags Bloody Meat Tenderizer, Butcher, Cow. You can follow any responses to this entry through the RSS 2.0 feed. You can leave a response, or trackback from your own site. Not only is this a direct deftones reference, it is also a SICK black and red contrast tattoo. Seriously if you dont have it already go to itunes and download “You’ve Seen The Butcher”. I’m listening to it right now in honor of this.